Now then, this could raise a few eyebrows. Even here at Career Geek these are shocking words. This is my opinion and I am entitled to sharing my opinions about careers advice. Everybody is now (apparently) an expert on giving careers advice. You could give my dad a website, a chair and a desk and he will start spreading his careers wisdom. Quite frankly, I have never taken that on board. I am not slating careers advice; I just don’t think it is concrete enough or helps in achieving anything. Careers advice gives you direction and knowledge and is supposed to help you develop your thought process. Just like education – it is useless (I think), but not having it is even worse. The face of careers advice is – CV advice, graduate job advice, employer workshops, etc. Out of the three mentioned – which one exactly shapes your career? CV advice will help you create a good CV and give you a good chance of being called for an interview. Graduate job advice is the most superficial of all. I got all sorts of advice, eventually I had to crack the code myself. The key to those online applications is keywords and understanding applicant tracking systems, none of which any careers adviser speaks about. And what about employer workshops? How much do they really help? Only as much as the company is interested in helping. BP only goes to a few universities to deliver their employer presentations. 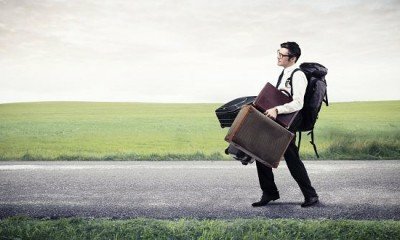 Does this mean your career will not lead you there? No. Eventually you will carve your own destiny. If everything goes to plan and you find the exact job that you want, that’s brilliant! But how many of us get the luxury to say that? Careers advice should be about informing students on a broader scale; not on the micro-advice level. But not having it is worse. Well, because without careers advice you might end up wearing flip-flops to an interview. Not that my main worry is you wearing flip-flops to an interview, but the lack of careers advice might put you in various embarrassing situations. Without careers advice we would all be making basic mistakes which we shouldn’t. But is careers advice really the term for it? It does not help my career to know there is a mistake on my CV. If I was doing a donkey’s job, my main ambition would be to be the best donkey in town. That’s a career. Wearing flip-flops to an interview is not really careers advice. I know this article will not really change the term careers advice and I don’t mean to (not simply in 500 words). But we all need to be careful with the way we sell careers advice to students and graduates. It isn’t a magic talk that will help you get a job. It isn’t something that will change your life. Careers advice is useless, unless YOU have a plan. YOU have ambitions. YOU want to succeed. But not having careers advice means watching flip-flop-wearing grads turning up for interviews. What do you think of this perspective on careers advice? Drop us your views and comments below, tweet us @career_geek, or write on our Facebook page. I will reply to each and every one of your comments. So go on, do it! Career Geek focuses on education, employment and enterprise related news, information and advice to help students and graduate jobseekers and Career Geek entrepreneurs. Founded by graduates, Career Geek prides itself on supporting student and graduate writers sharing their experience from education, employment and start-ups to help their peers.